Outdoor Foosball Table - Find The Best Ones For You! Outdoor foosball tables are made specifically for the outdoors. They have to be made with weatherproof surface materials that are able to withstand the elements. Sun, Rain, and moisture are just some of the weather conditions that may affect the surface of the outdoor foosball table. Manufacturers have fashioned the surface of these tables with special materials that are able to work well under outdoor conditions. 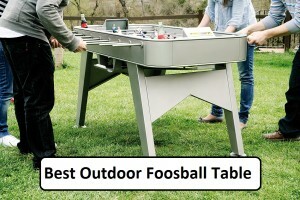 Today we are going to talk about playing outdoor foosball and you will find the best foosball table to play on outdoor. 4 How to Play it? 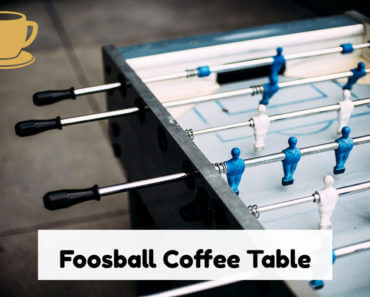 Because foosball is enjoyed by most everyone who considers themselves football connoisseurs; there is a small difference in comparison to both indoor and outdoor foosball tables. Here is a review on the two main outdoor foosball tables manufactured; the Garlando and the Kettler outdoor foosball tables. The outdoor tables must be manufactured with weatherproof material for the playing surface. This means the material is heavier in comparison to the indoor foosball table which needs special material for the table surface. This does not mean that the outdoor tables are lacking quality; it just means the technology in manufacturing must take into consideration weather as well as a quality playing surface. In comparison to the Keller outdoor foosball table and the Garlando outdoor foosball table; the Garlando is considered the boss in weatherproof foosball tables as class and quality go. TheGarlando G500 is the best for outdoor play. These specifications below are the manufacturers guaranteed quality standards that will enable great foosball play on a great foosball table. The Garlando G2000 is a more expensive model of the foosball table and a bit more upgrade in manufacturing quality. The Kettler Foosball table is ideal for playing outdoors. This item, which is one of the best outdoor foosball tables is made from high-quality laminates and weatherproof resin which makes it quite durable. The playfield is made of glass, which makes for smoother play. It allows the ball to play on a continuous level surface, and movement is faster. This glass surface is not common and speaks to the quality and cost. 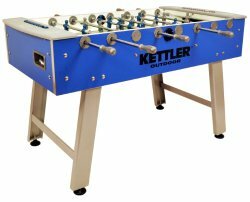 For a Kettler foosball table, it will sell for over $1000.00.This is really an investment in fun! The playing figures are unbreakable and are fixed to anti-rust chromium plating rods which are very sturdy and ideal for weathering the elements outdoors. Playing on a Kettler outdoor foosball table is safe as the rods are fixed telescopically for safety. This feature enables safe play; while preventing injury to children and possibly adults. The table also weighs 132 Lbs, which makes it heavy enough for less movement and rough play. These features make the Kettler foosball table the best there is for both outdoor and indoor play. 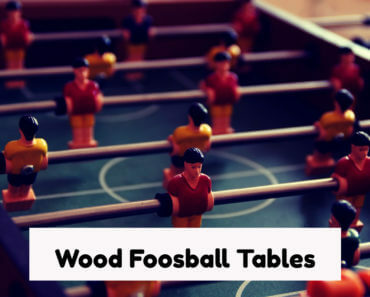 However, if you are looking for general ones and don’t really know how to pick them, we suggest you take a look at our guide to picking from the best foosball table reviews. The Garlando foosball table is an Italian made foosball table which was manufactured by Renato Garlando for outdoor foosball play. This foosball table was manufactured as a weatherproof outdoor foosball table, ideal for outdoor activity. He wanted to reproduce football to table football or foosball and enhance old fashion, clean fun. His vision for creating this unique tool for the outdoor sport was to enhance the players’ skills and competitiveness, thus ensuring a winning edge in tournaments. For persons who take their foosball serious, they are able to compete in the Table Soccer Federation worldwide competitions’ which is held at the same time as the FIFA World Cup. Imagine the incredible fun these players have, with the expectation of playing at foosball parallel to their football counterparts and winning. Basically playing outdoor foosball requires you to hit the ball into your opponent’s goal. This is similar to football. The technicality to playing this game is what makes foosball so enjoyable. No swearing, be polite, and NO SPINNING THE RODS!! The game is played regardless of what the ball hits on; to score the ball must hit a player, once it is declared legal, this opponent’s goal is counted for playing basic foosball. For more advanced play, a coin toss is required, which basically all foosball players need to incorporate into every game. Serving the ball is easy, through any hole and after the goal is scored, the next play is taken by the team scored upon. “Timeout” is called if your team is in play. “Time in” is called when the other team is ready and able to concentrate on play. Cheating is if you reach in on the field for the ball; so … no handball! What is classified as a “Dead Ball” occurs when the ball is out of reach for the playing team, so give the opposing team the play. 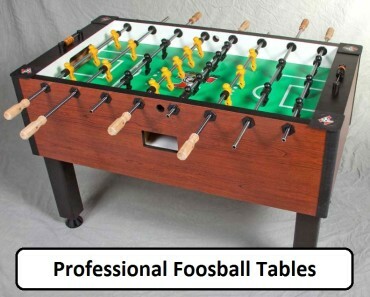 Although the game of foosball is a professional sport in some quarters, you can become a professional also. If not wanting to play at this high level, you can play for fun. Basically, all you need is a foosball table, some willing friends that enjoy some good fun and you are on your way to enjoying the game; the more competitive the game, the more fun. This is true for both indoor foosball play and outdoor foosball play. The same can be done on an outdoor table as well as well as an indoor foosball table. 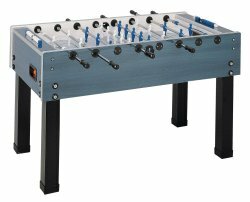 Purchasing an outdoor foosball table may not be as expensive as the Keller which can be had at a price range of $1000 dollars or more. The Garlando outdoor table can be had for up to $1500. There are some manufacturers that have cheaper tables for as little as $200- $300, and may be of good quality. Shopping around is generally advised, and getting quality advice is also good. No matter how you go about acquiring your foosball table; fun is at the end of the journey. Taking care of your outdoor foosball table is very important. Because it is built for the outdoors does not mean you leave it out to be harassed by the elements. Ensure proper covering is in place when not in use; if the table is being left outdoors. If storing indoors, the same applies, cover from dust and keep in a dry place. There are many brands of outdoor foosball table covers and they can be used for both outdoor and indoor foosball tables. They are designed to protect the outdoor tables from moisture and dust. If moisture is allowed to penetrate the table surface, it will cause warping, and this in effect is a damaged foosball table. This cover is made from waterproof material and when used will keep the table surface in good working order. The cover will also allow you to have a foosball table that lasts for a very long time.